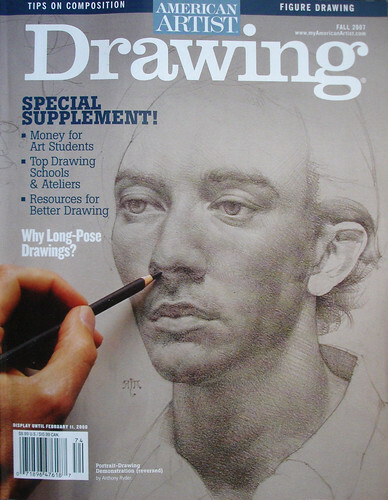 One of my drawings made it into the American Artist: Drawing Magazine! It is the fall ’07 issue and is on stands now! The article is about the Figure Drawing Factory, an on-line drawing group that I helped co-found with Royce Deans and Ben Miller. Speeking of which, we do need some new models, both male and female, but we need especially more female models since there are currently more male ones in the group. Let me know if you would like to join!